The Conference Finals are almost here. By the time you read this, the first game of the series might be over with. Make no mistake about it, the San Antonio Spurs and the Golden State Warriors are the two best teams in the Western Conference. 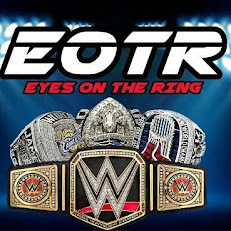 With that being said however, one team has had an enormous amount of rest and practice time, while the other team has been through two grueling series, lost a very important player and have their best player not at 100%. The odds aren't in the Spurs favor, but as we learned in years past, never count the Spurs out. So, who cashes in a ticket to make it to the NBA Finals? 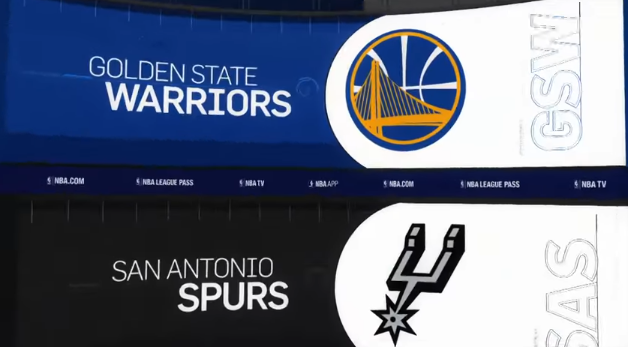 The Warriors or the Spurs? Let's take a look at both teams, and make a final prediction in this Western Conference Finals preview. -Make no mistake about it, the Spurs aren't 100% healthy. That will be the biggest issue for them going forward in this series. 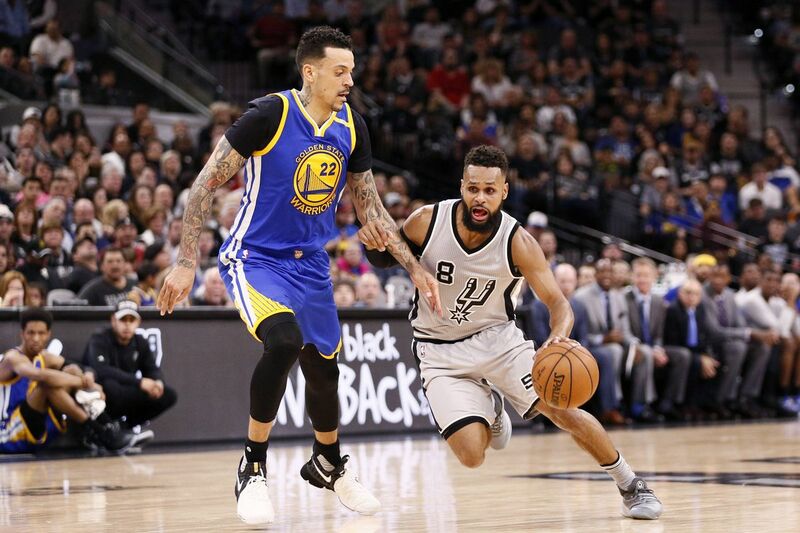 While most will be rooting for the Spurs to upset the Warriors, and it is entirely possible for the Spurs to defeat them, they will have a hard road ahead. 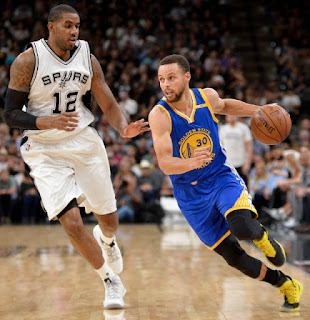 The Warriors are playing amazing defense, and they're healthy, so what are the keys to victory for the Spurs? Two words: Kawhi Leonard. Are there any other keys to victory for the Spurs? Not so much, but players like Patty Mills, Danny Green, Jonathan Simmons, and Dewayne Dedmon need to be severely locked in alongside Lamarcus Aldridge. The truth be told, Lamarcus Aldridge is the biggest piece of the puzzle. If he shows up in the series, he could be vital. 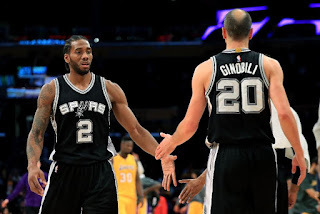 Kawhi and Lamarcus, alongside their bench have to all work together to make it happen, and with no veteran leadership in Tony Parker, it'll be on Manu to step up once again, but they face a heavy task. If anyone can at least compete against a heavy task, it's certainly the San Antonio Spurs. -The Warriors are the best team in the NBA for the third time in a row. Make no mistake about it, unlike the last two seasons where the Warriors gave it their all in the regular season, you got a feeling that the Warriors were just coasting through this year's regular season. Minus a few late game lapses and just some completely off nights, they were absolutely unbeatable down the stretch. Stephen Curry has seemingly found his rhythm in the midst of Kevin Durant being back, KD looks locked in, and Draymond Green is defensively showing you why he's the best defender. Draymond has extremely high basketball IQ and the fact that the Spurs are a more mild mannered team will likely make it easier for Draymond to keep his cool and go out and compete. If the Warriors are clicking on all cylinders, there's no one who can defeat them in the NBA, more than once, let alone 4 times. That's not to say it isn't possible, but over the last few years, we've seen only one team defeat them four times, and three of these losses came when the team wasn't at full strength. The Warriors are an extremely hated team going into this series, but I think the hate combined with their pure drive to win is what will fuel them in this series. After about another week of rest following their 2nd straight sweep in the playoffs, the Warriors are much fresher and motivated. Steve Kerr, their coach, has been there physically recently to motivate the team and keep them ready mentally, which could be the determining factor. With Coach Kerr providing that motivation with Mike Brown actually on the benches, the Warriors could end up trying to make easy work of the Spurs in 4 games or 5 games. They will rely on their bench to step up in times when the starters need to rest, and Ian Clark, Zaza, Javale McGee, Patrick McCaw, and of course Shaun Livingston and Andre Iguodala will be vital in the success of the Warriors in this series. I think the Warriors are on a mission, and they will not go down as easily as the Rockets. 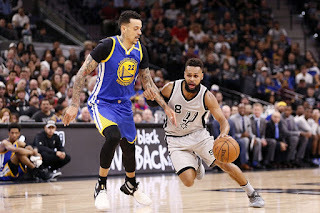 For one, they play defense just as well as the Spurs this year, and two, the Warriors are a better offensive team, and if the threes aren't falling as frequently, they know how to score in the post and from the midrange now more efficiently. The Warriors have become much more deadly this year with the acquisition of Kevin Durant and the improvement of their interior defense, which could be the determining factor in this series. 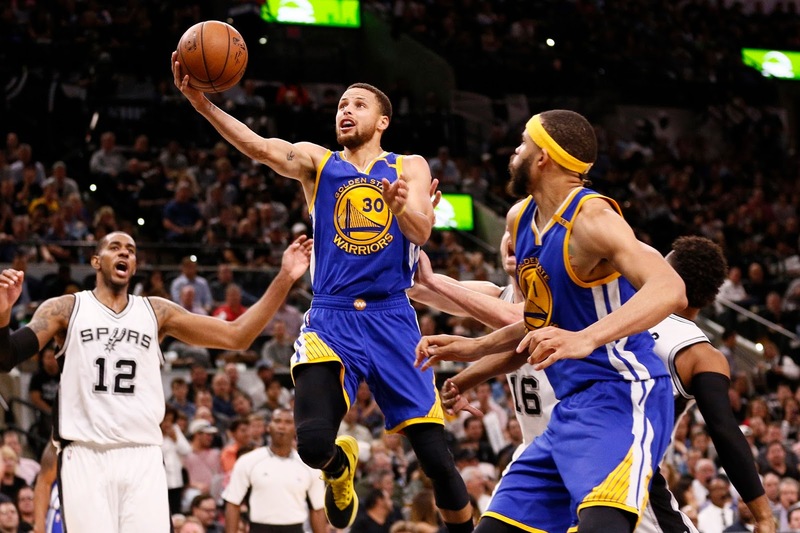 Can the Warriors finally take the torch officially as the new powerhouse of the West from the Spurs? We'll see. -While it's wishful thinking to say that Pop would lead the Spurs beyond any team, there's also the reality that while the Spurs have had playoff success over the last 20 years, they've made 6 Finals in that time and won 5 Championships. 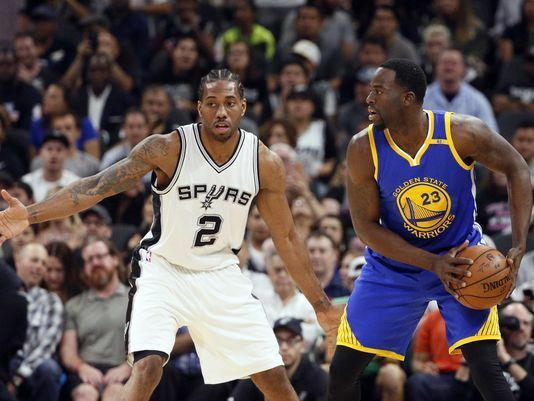 That's not to take anything away from Coach Pop, Kawhi, or Lamarcus, but the Golden State Warriors are on a path to greatness. 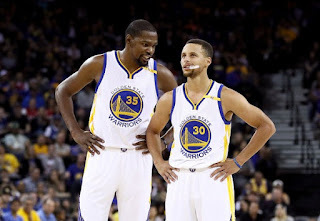 They've got two of the top 3-4 players in the league on their team, with Kevin Durant having the ability to defend and be a great two way player, a locked in Stephen Curry (the two time MVP), a Klay Thompson who will be looking to show up and impact the game, and the best defensive player in the league this year in Draymond Green. On paper, this is a mismatch, but in reality, these are the two best teams in the NBA. Will the Spurs upset the Warriors? 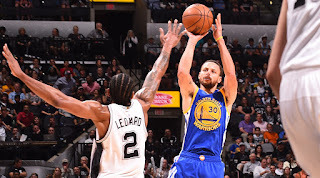 After two 6 game series and tough play in each, the Spurs are admittedly weakened, and if Golden State is the team that I think they are, they will exploit that. The Spurs have admittedly been inconsistent before, and this team reminds me of the Spurs during the Lakers era, where they were very good, but for the most part, when going against the better team, in the playoffs, when it mattered, they would come up short. 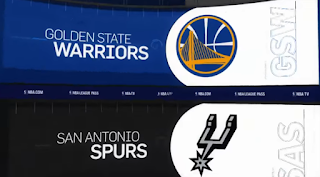 All that aside, there's a big chance the Spurs could pull off an upset, but if this Warriors team is locked in like they were against the Blazers or the Jazz, we could see another sweep or a Warriors win in 5 games. To be honest, I see a possible sweep coming, but another hard fought sweep coming like with Utah, but to be safe, and not to count out the Spurs completely, I'll say Golden State in 5 games, at the very best, 6 games. This isn't the same Warriors team that pushed the Spurs to 6 games in 2013, this is a much more experienced, wiser, and tougher team with veteran leadership and a comfort zone of play style. That will cause trouble for the Spurs down the stretch in a majority of the games. I'm not counting out the Spurs at all, it's just with them not being 100%, not having Tony Parker, and the Warriors being much tougher competition than the Rockets and the Grizzlies, I'd have to say the Warriors win and move on to their 3rd straight Finals.